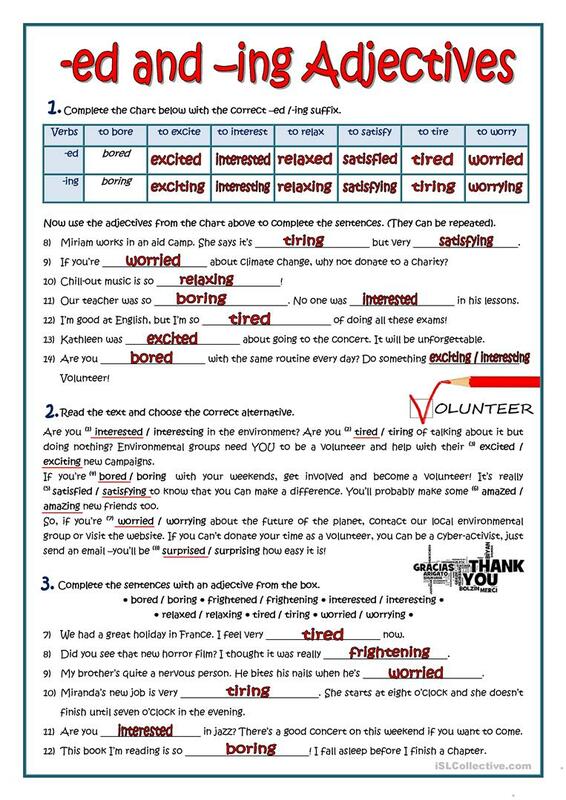 Grammar practice on participial adjectives. Keys included. 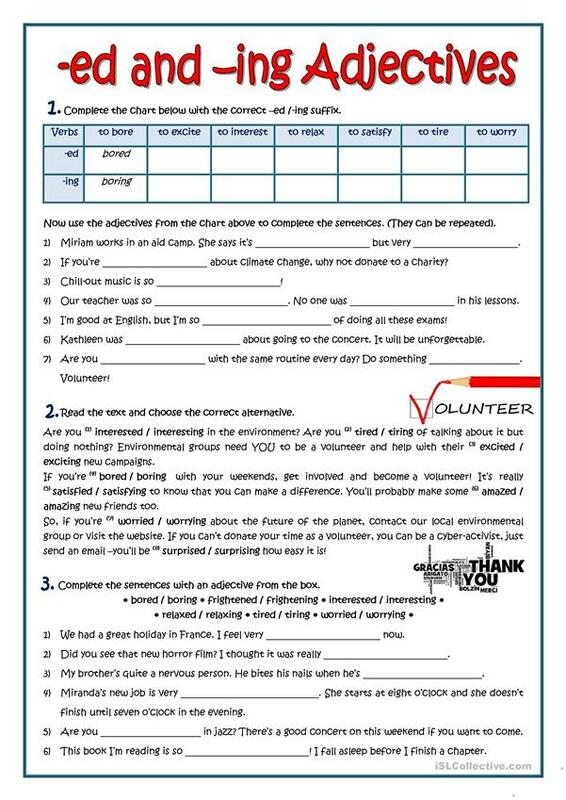 This printable, downloadable handout is best suited for high school students and adults at Pre-intermediate (A2) level. It is aimed at revising Adjectives and Adjectives with –ed or -ing in English, and is excellent for working on your students' Reading skills. It is about the topic and words of People. The exercises come with a key.